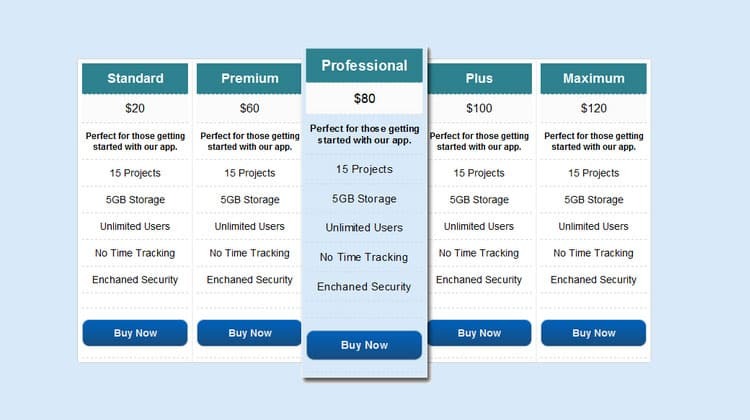 The table is a great way to represent the data in tabular format. 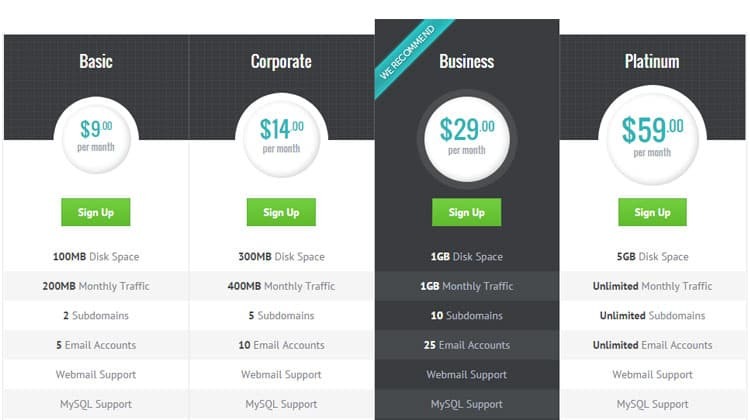 Some website display their services or product or pricing chart in tabular format, you may see it in many web hosting as well as in e-commerce site. So it is required to represent it in a more professional and elegant way to engage more visitor. 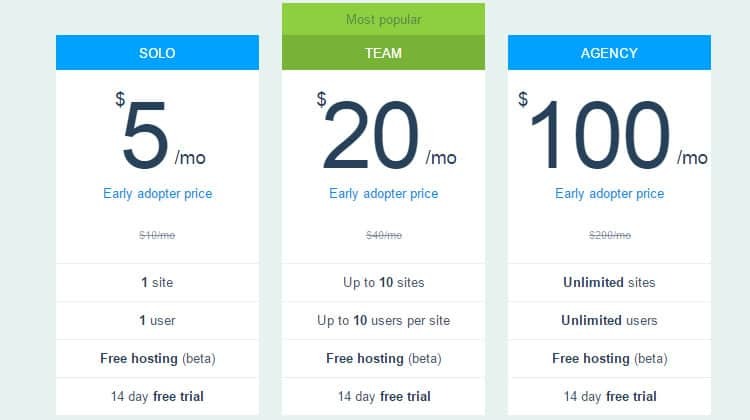 As far as web hosting and eCommerce sites are a concern they are providing comparison prices of product or services or features of the product, so it is essential to showcase these data in a very attractive way in a table, so visitors can get their required information with ease. 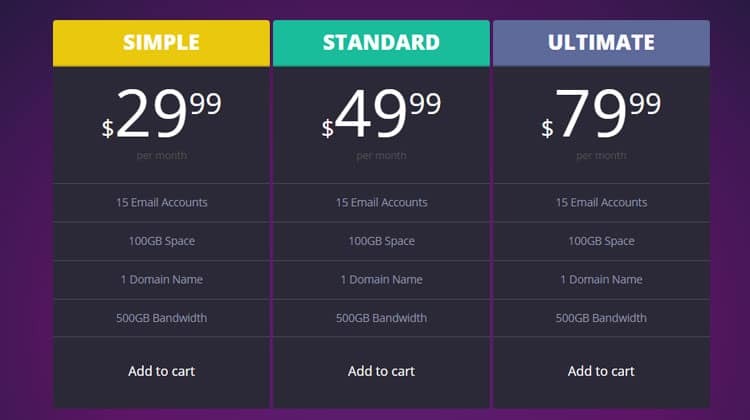 Today I am going to listing down some sorts of Price Table HTML Template which you can use in your site to give visitors a nice and stunning experience to check their desired information. 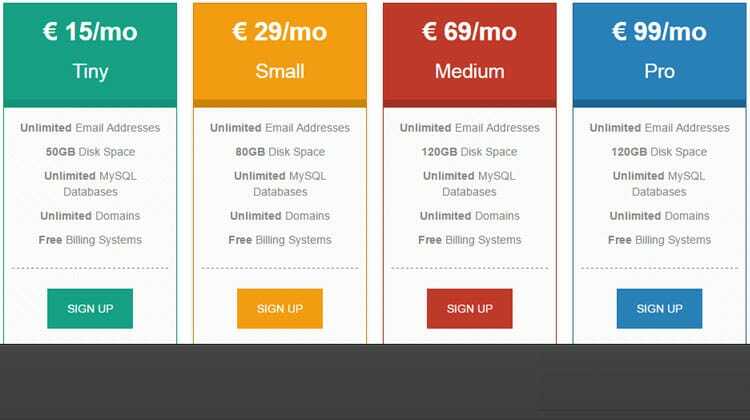 It is an awesome table template html css which you can use in hosting company website or ecommerce website to display pricing or other service related data in a very elegant manner. 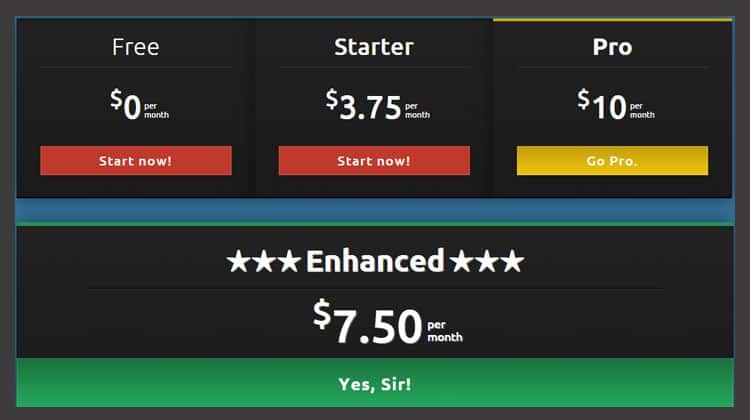 It is a free responsive Price Table HTML Template which is developed using bootstrap framework. 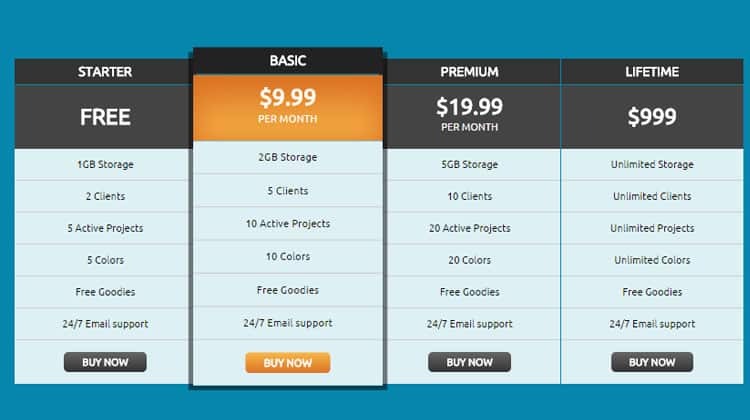 This one is a simple price table html template which consist of modern looking column structure. 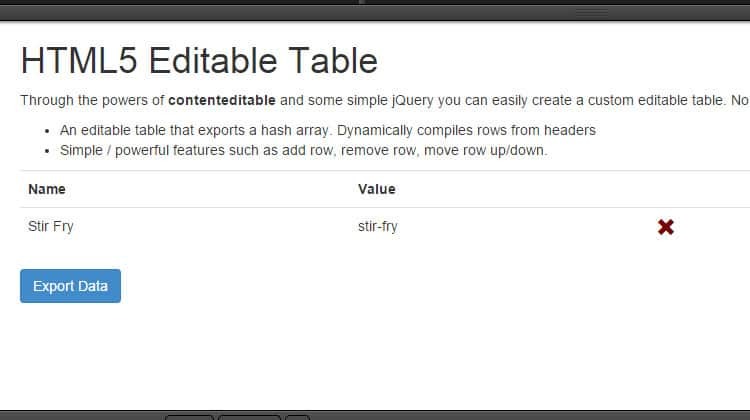 It is has been developed using HTML5 content editable and jquery.Using the power of HTML5 content editable and minimal jquery you can make editable table. 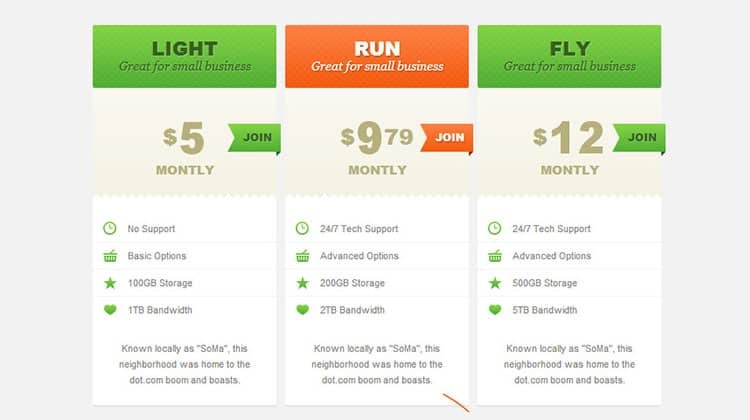 This one is well suited for your web hosting website and it is a dazzling and simply has professional look and feel. Some flat colours has been introduced here and it is responsive in nature. This one is flat and elegant and nicely placed element bold in nature which ensure easily readable in any devices. 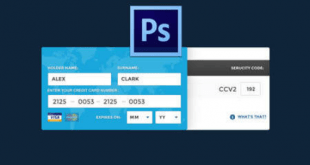 This is built using CSS3 and HTML5 and cleanly it will display your service related information using tabular format in a very professional manner. 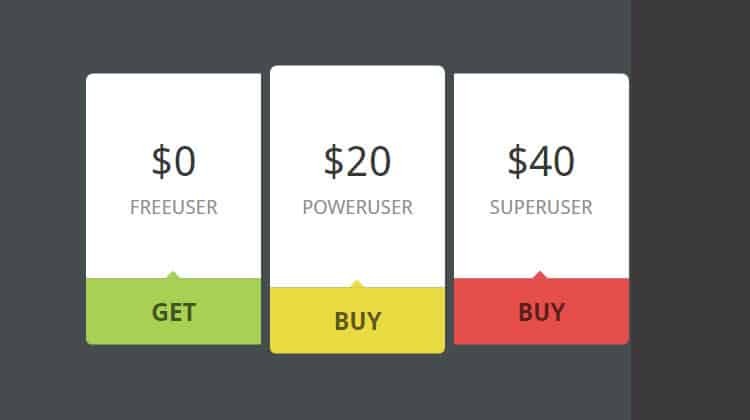 It is built using SASS, it is a dazzling looking price model to display related information nicely. 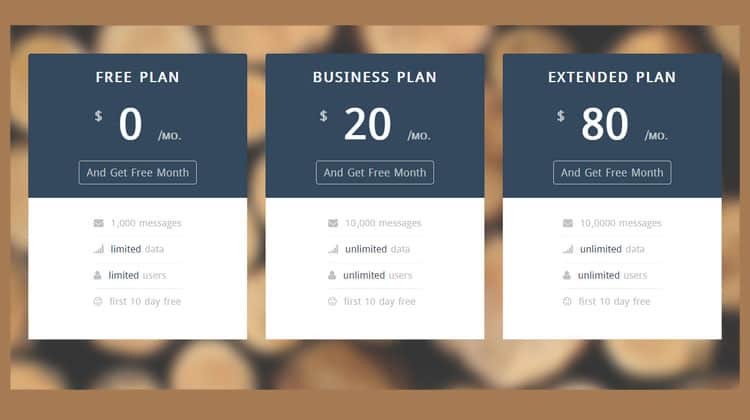 It is a mini version of price table html template which will display extra information related to addons etc which need to be sold. 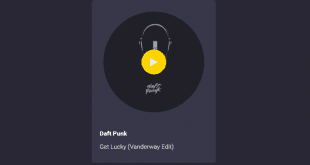 This one is a flat in design and responsive in nature which ensure to display it in any resolution of devices. 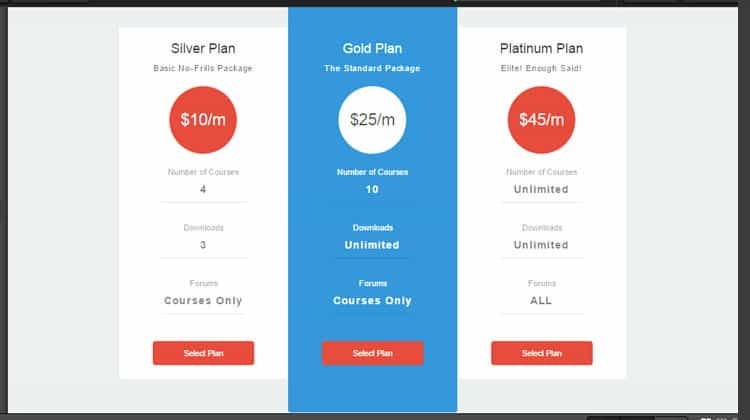 This one is an excellent pricing table template html which will display your pricing or showcase your plan which you are intend to sell.It has a nice and an elegant interface. 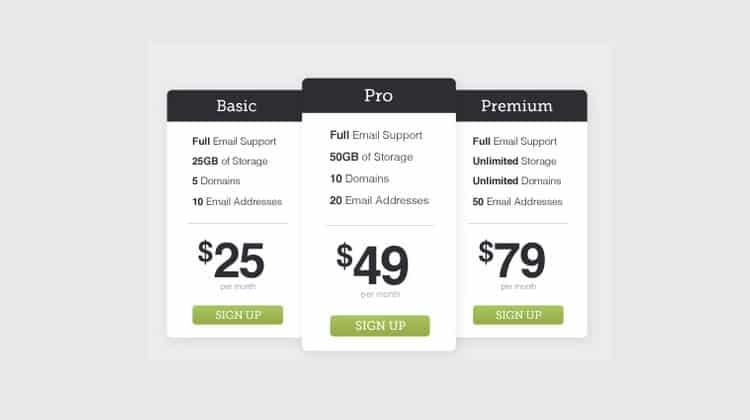 A modern pricing table which is built on HTML and CSS.It is primarily is built using photoshop and can be transformed using HTML and CSS. This one is sleek and modern with striking hover effect.It is responsive in nature to scale down to any resolution of devices. 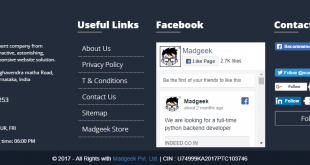 It is sleek and elegant in design with rounded corner to display relevant data in such a manner that will be visually appealing. 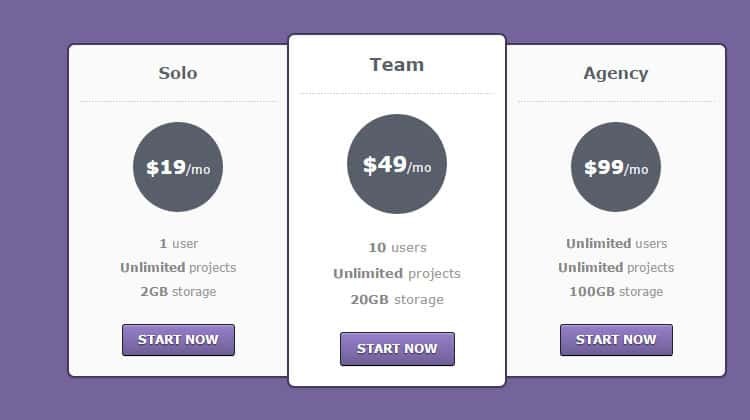 It is an elegant and stunning pricing table which display title, price, list of features, and purple sign-up button.